Spreading out our sketchbooks to share this afternoon, I remarked to some of the other Friday sketchers that an innocent viewer looking at our sketches would be hard-pressed to guess where we were. 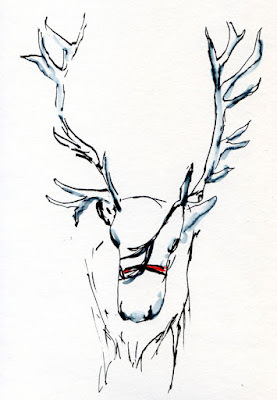 Reindeer? Diners in a café with huge ferns and palms? A camel? A koi pond? Santa? A troll? Not to mention model trains (which I never even got to today). Swanson’s Nursery has something for everyone, and that’s why Urban Sketchers Seattle has returned there every holiday season. 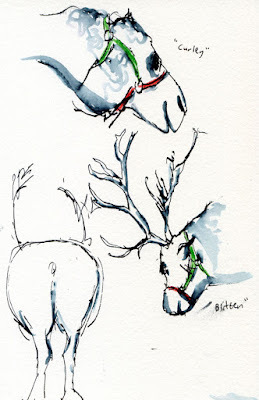 As I have in the past, I began the morning outside with Blitzen and Dasher, the two reindeer who take up residence at Swanson’s for the holiday season each year, and their buddy Curley, the camel. 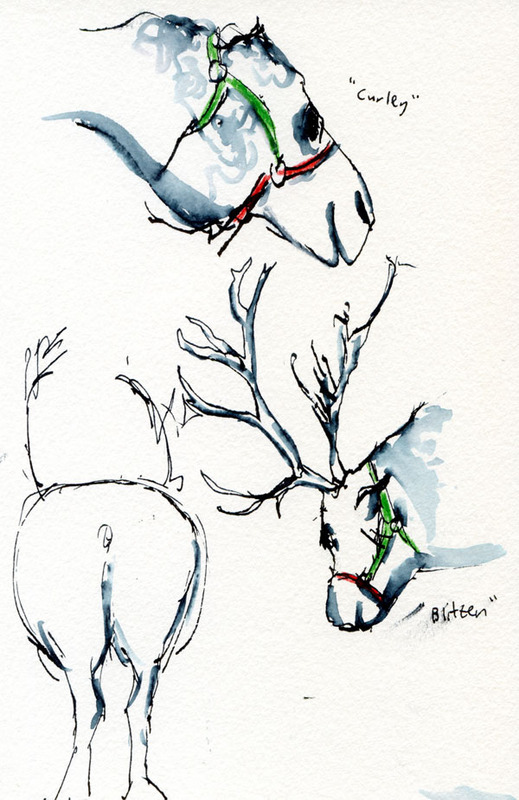 Although I’ve sketched all three of them every year (see 2014, 2013 and 2012), I still struggle with getting the scale of the reindeers’ antlers right. They are so enormous that I sometimes end up sketching them right off the page. By the time I finished them, I was chilled to the bone, so I went into the café to warm up. 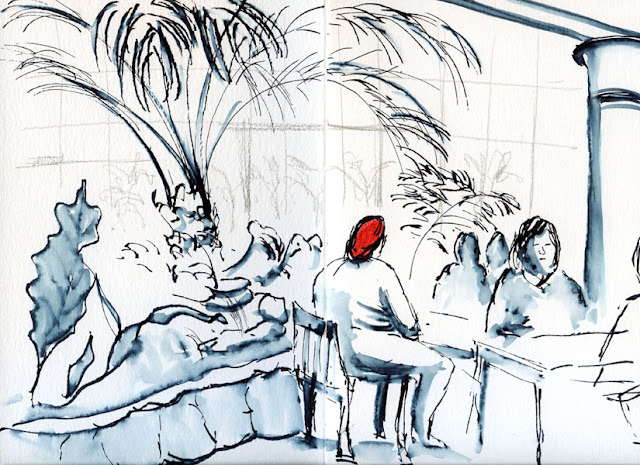 Even without the eggnog latte, I would have been warmed by the café’s tall palm fronds and other tropical plants that evoke a sunny climate. All of that alone would have made for a perfectly fun sketch outing. What could have possibly improved on it? Santa! 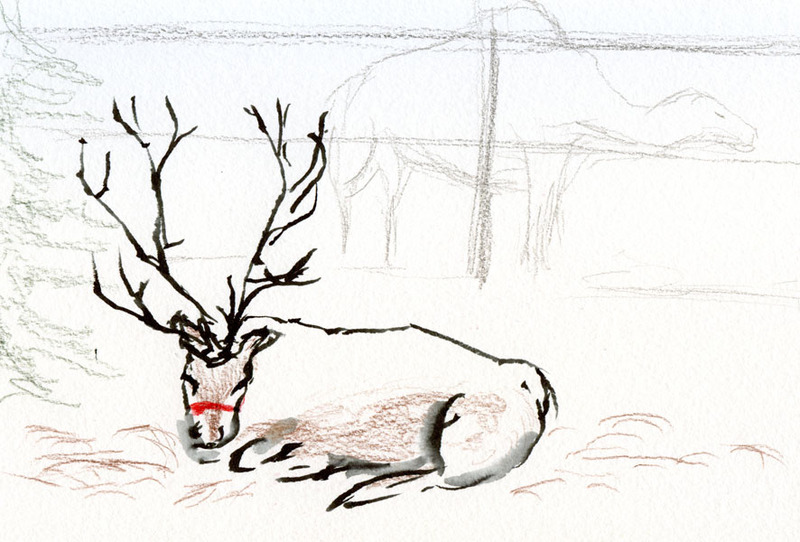 As I was finishing up my café sketch, I heard him ho-ho-ho-ing as he made his way to his photo station. A short time later, I followed him in. Unlike at the malls, Santa’s station at Swanson’s was set up with chairs for viewers, so I had a comfy seat as I chatted with “Santa Sean,” who wasn’t too busy yet. 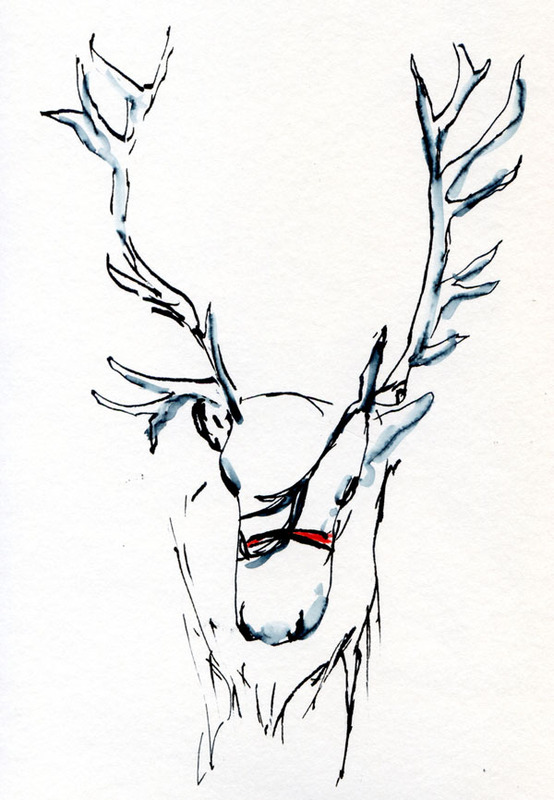 (He told me stories about his many clients – witty ones as well as eardrum-shattering screamers.) 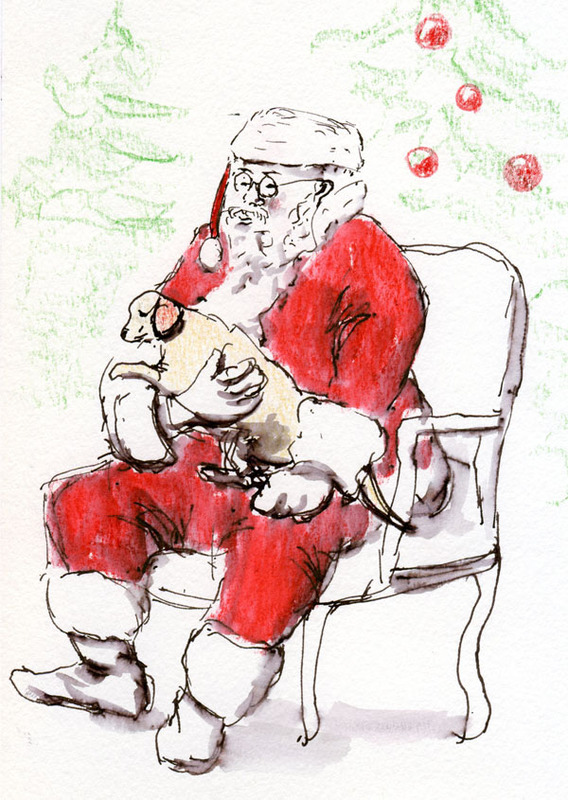 As usual, I sketched most of Santa first, leaving space on his lap for his next customer. You can imagine how delighted I was when the client turned out to have four legs – a Labrador pup named Zuzu (no, his ear wasn’t really pink – that was my colored pencil smearing). A double score, I’d say!